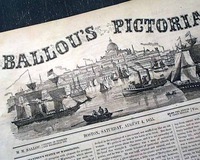 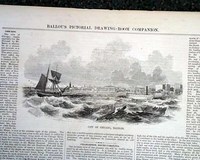 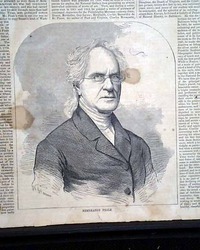 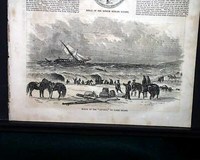 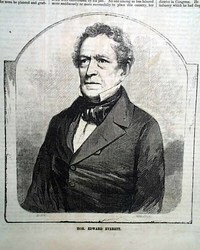 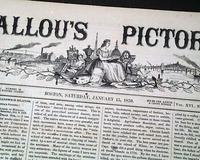 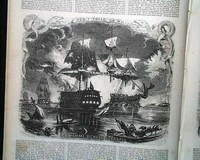 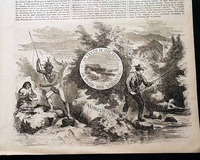 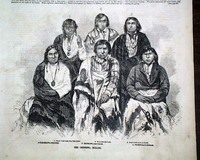 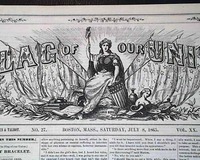 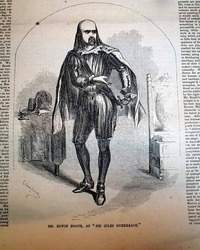 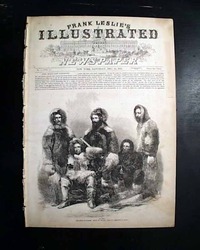 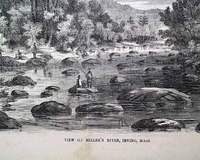 BALLOU'S PICTORIAL, Boston, Feb. 6, 1858 The ftpg. 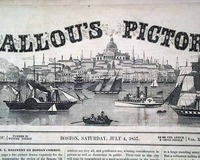 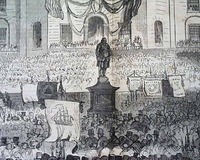 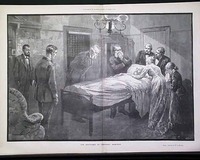 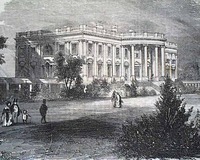 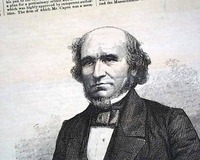 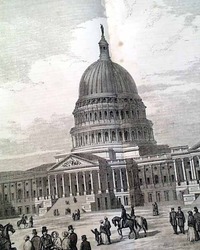 shows: "Frederic W. Lincoln, Mayor of Boston". 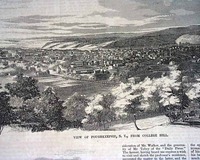 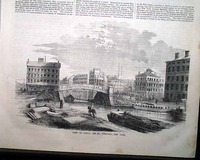 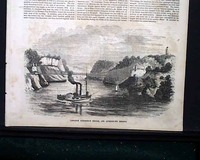 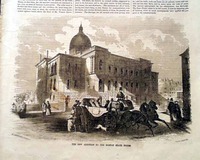 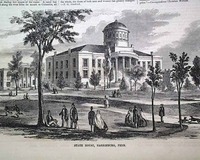 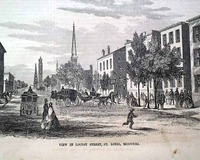 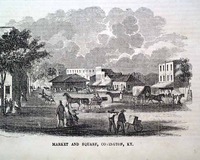 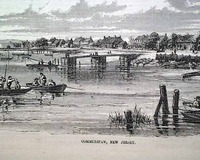 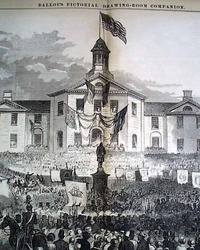 Inside has a nearly half page: "General View of the City of Syracuse, New York" and another nearly halfpg: "View of Salina Street, Syracuse, New York" with a related article on Syracuse as well. 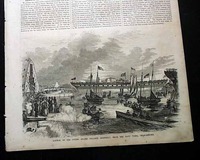 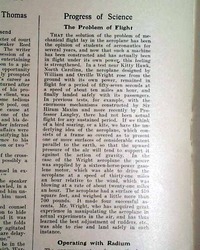 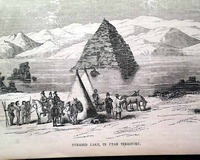 The back page has 2 prints concerning Siam. 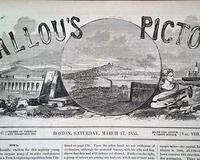 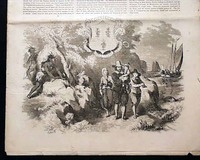 BALLOU'S PICTORIAL DRAWING-ROOM COMPANION, Boston, October 11, 1856 Within this issue are prints captioned: "Tufts College, Somerville, Massachusetts" "Warwick Castle" "The Village Postman" with a full back page print of: "The French Soldiers' Return From War".